We’ve tried to avoid flying as much as we can on this trip, doing everything overland where possible. So we were a little surprised at our experience with the buses here in Peru. We arrived at the bus terminal to be directed to a ‘check in desk’, where after confirming tickets and passports, they take your luggage, weigh it and tag it, and attach the luggage receipt to your ticket. It’s an odd experience having to trust the luggage will be making its own way onto the bus – not something we felt entirely comfortable since this wasn’t actually an airport! You then queue to enter the departure lounge, where they search you and your hand luggage (for what, we’re not quite sure), and use one of those funky wand things to check for metal or guns or something. In the lounge itself (alas, no duty free) are comfy seats, and a queue building at the departure gate – no sign of Ryanair style priority boarding yet though! The team on the bus, excited at our free headphones and pillows! 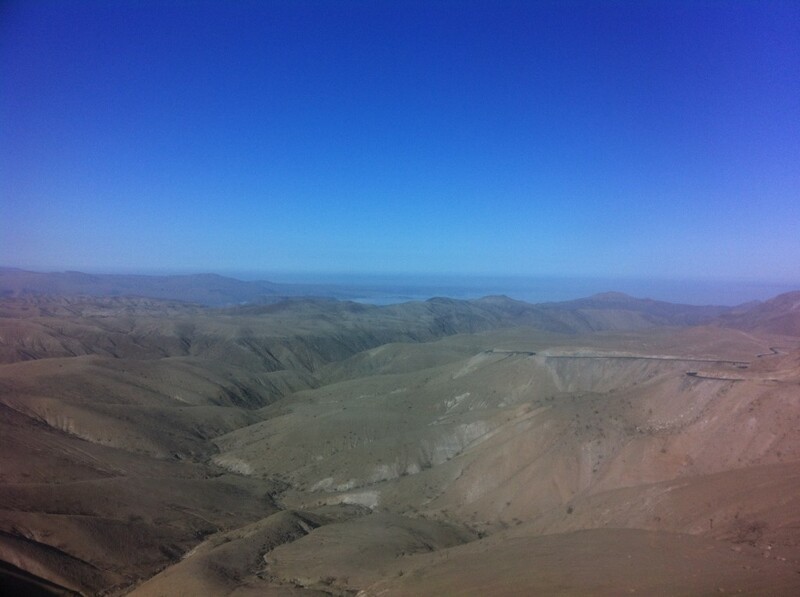 On the bus itself, the surreal experience continues. Someone comes past with a video camera to film the face of everyone in each seat for security reasons. The seats have blankets, pillows and free headphones and recline to 160 degrees – and there’s food on board. We were slightly disappointed to find they don’t serve complimentary alcohol, but the in-flight game of bingo made up for it! 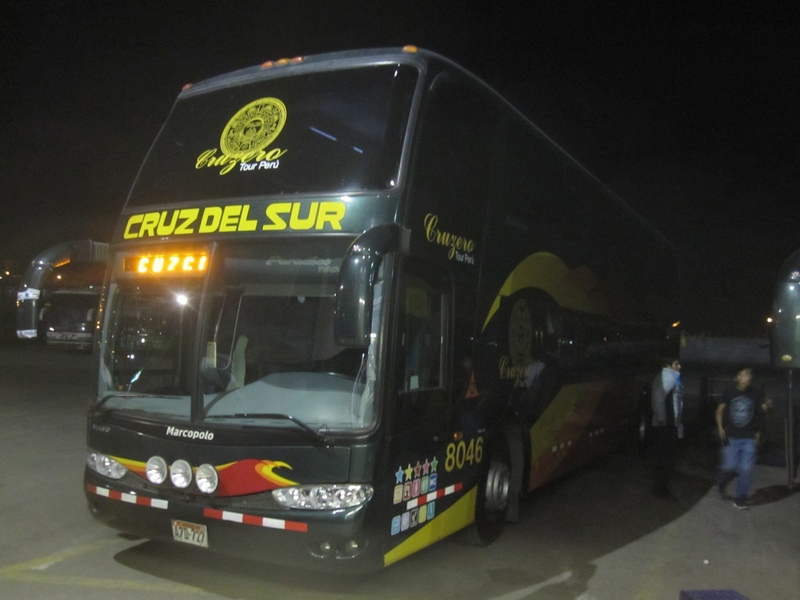 It should be said this was with the expensive bus company ‘Cruz del Sur’ – peruvian roads are notorious for crashes and we weren’t going to take our chances. However, there are definately some things National Express or Megabus could learn from this! PS. Having written this, we just had the most confusing bus bingo ever. Laura thought she’d won, but we didn’t want to declare it since we don’t actually need a (non-transferrable) bus ticket back to Cuzco. Then it seems like half the bus went up to claim their prize to be told they hadn’t actually won yet, including an elderly woman who was asked to sing to us for entertainment while her numbers were checked. And then when there was an actual winner, two people rushed to claim the prize. You definately don’t get this kind of excitement on the buses back home! 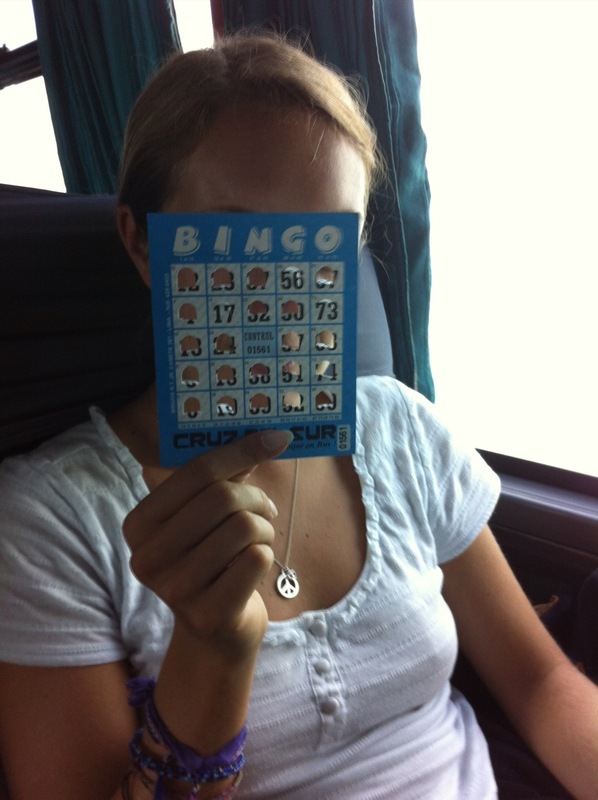 This entry was posted in Peru and tagged bingo, bus by Simon. Bookmark the permalink. Simon, can you organise a game of bingo like this for us when we get back? It sounds like fun! I look forward to it with great anticipation!